But without faith it is impossible to please Him: for he that cometh to Yahweh must believe that He is, and that He is a rewarder of them that diligently seek Him, Heb. 11:6. Yahweh, the Mighty One of Israel, is ours by His sovereign grace. He is not served by men's hands as if He needed anything from us. Elohim, Who made the world and everything in it, is Sovereign of heaven and earth, and does not live in temples made by men. Nor does He need anything that men can supply by working for Him, since it is He Himself Who gives life and breath and everything else to everyone, Acts 17:24-25 TEV. 17:28. Yahweh offers us more than physical life. He gives us the opportunity to be His people by taking hold of His covenant. For the promise is unto you, and to your children, and to all that are afar off, even as many as Yahweh our Elohim shall call, Acts 2:39. This is the covenant that I will make with them after those days, saith Yahweh, I will put My laws into their hearts, and in their minds will I write them, Hebrews 10:16. We have nothing to give Him in return. He has created all things. He made the universe. All is His. We are not able to offer Him anything because He has it all. Even our lives—our very being belongs to Him. And I heard a great voice out of heaven saying, Behold, the tabernacle of Yahweh is with men, and He will dwell with them, and they shall be His people, and Yahweh Himself shall be with them, and be their Elohim. Sing and rejoice, O daughter of Zion: for, lo, I come, and I will dwell in the midst of thee, saith Yahweh. And many nations shall be joined to Yahweh in that day, and shall be My people: and I will dwell in the midst of thee, and thou shalt know that Yahweh of Hosts hath sent Me unto thee, Zechariah 2:10-11. Thus saith Yahweh; I am returned unto Zion, and will dwell in the midst of Jerusalem: and Jerusalem shall be called a city of truth; and the mountain of Yahweh of Hosts the holy mountain, Zechariah 8:3. Do not save riches for yourselves here on earth, where moths and rust destroy, and robbers break in and steal. Instead, save riches for yourselves in heaven, where moths and rust cannot destroy, and robbers cannot break in and steal. For your heart will always be where your riches are. If we treasure the things in this life, most of our time will be spent with earthly things. We will be concerned and preoccupied with the materialism of life. This means involvement in the interests and pleasures the world has to offer. It can be in the field of sports or recreation. These by themselves are not bad and are here for our enjoyment. But by having all our time taken up in dwelling on these pursuits night and day, precious little time is left for the preparation for the Kingdom of Yahweh. Much time can be spent in social whirl— nightclubs, partying and actively seeking pleasure with others—to the detriment of neglecting the eternal Yahweh. Love not the world, neither the things that are in the world. If any man love the world the love of the Father is not in him, 1 John 2:15. This can include materialism like cars and boats, activities, entertainment or any pleasure that we carry to excess. Appreciation of these by itself is not wrong, but it is wrong if such things interfere with a strong relationship with our Creator. And every man that striveth for the mastery is temperate in all things. Now they do it to obtain a corruptible crown; but we an incorruptible, 1 Corinthians 9:25. We must discipline ourselves to enjoy what Yahweh has given us here on this earth, but to make certain we have reserved time and energy in preparing for the Kingdom. Do our best to win full approval in Yahweh's sight, as a worker who is not ashamed of his work, one who correctly teaches the message of Yahweh's truth, 2 Timothy 2:15, TEV. All through the Bible a basic teaching is that we should seek those things that are above, and to keep our minds fixed on things heavenly and not on earthly goals. If ye then be risen with Messiah, seek those things which are above, where Messiah sitteth on the right hand of Yahweh. Set your affection on things above, not on things on the earth, Colossians 3:1-2. This is especially true for those who have been immersed into the Body of Messiah. We are to have put to death those earthly, fleshly desires and live in anticipation of the return of the Messiah to share in His glory. The vast majority of those in the world are not aware of the potential awaiting the human race. They are too absorbed in accumulating the wealth of the world, seeking power over men or seeking the pleasures of the world. To those who heed the call, however, Yahweh is working out a magnificent plan that is available through His Son. He has called you as you read this magazine and have come to an understanding of the truths He has given to His people. What is it that Yahweh wants from His creation? What are the goals He has in mind? Certainly He can create whatever He desires whenever He wishes. He could create a grand series of mirrors that would reflect His glory and His goodness, and He could bask in such satisfaction for ages on end. Or He could create living creatures like the brute beasts who would instinctively give obeisance to Him continually. They would have no willpower or thought of their own, but would automatically worship and adore Him, continually doing His pleasure. Instead, He created mankind for a higher purpose. We are a creation a little lower than the angelic throng, and He put us in charge of the earth. From this human creation He selected Abraham and promised that through Abraham's seed would He make His plan known. Eventually, He selected the children of Israel as His special people. When the Most High divided to the nations their inheritance, when He separated the sons of Adam, He set the bounds of the people according to the number of the children of Israel, Deuteronomy 32:8. In verse 9, we come to realize that ALL of Yahweh's creation was made so that from throughout the universe He could have a treasure for Himself. For Yahweh’s portion is His people; Jacob is the lot of His inheritance, Deuteronomy 32:9. Deuteronomy 32:9 says that the treasure is His people. Of all He has created, the most precious thing to Yahweh is His people—fleshly and spiritual Israel. Now therefore, if you will obey My voice indeed, and keep My Covenant, then you shall be a peculiar treasure unto Me above all people for all the earth is Mine, Exodus 19:5. But the hour cometh, and now is, when the true worshippers shall worship the Father in spirit and in truth: for the Father seeketh such to worship Him, John 4:23. Exodus 19:6 promises that His people will be to Him a kingdom of priests and a nation reflecting His holiness. Yahweh's holy mind envisages a people who can be in fellowship with Himself, to whom the secrets of Yahweh can be revealed and in whom the call to obey His will should find fulfillment. For finding fault with them, He saith, Behold, the days come, saith Yahweh, when I will make a new covenant with the house of Israel and with the house of Judah, Hebrews 8:8. For by one offering He hath perfected for ever them that are sanctified. Whereof the Holy Spirit also is a witness to us: for after that He had said before, This is the covenant that I will make with them after those days, saith Yahweh, I will put My laws into their hearts, and in their minds will I write them, Hebrews 10:14-16. And if some of the branches be broken off, and thou, being a wild olive tree, wert grafted in among them, and with them partakest of the root and fatness of the olive tree, Romans 11:17. Israel was saved from destruction while in Egypt, they still had to be delivered from Egypt. Just as we are saved from destruction in our headlong pursuit of sin, we cannot continue to be partakers of the world's ways represented by Egypt. For Moses truly said unto the fathers, A Prophet shall Yahweh your Elohim raise up unto you of your brethren, like unto me; Him shall ye hear in all things whatsoever He shall say unto you, Acts 3:22. It is Yahshua we are to listen to and follow. That they take for Me an offering; of every man whose heart maketh him willing you shall take My offering. And this is the offering which he shall take of them; gold, and silver, and brass; and blue and purple, and scarlet and fine linen and goats' hair, and rams' skins dyed red, and sealskins, and acacia wood; oil for the light, spices for the anointing oil and for sweet incense, onyx stones, and stones to be set for the ephod, and for the breastplate, Exodus 25:2-7. 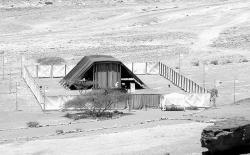 Notice that Yahweh Himself gave the pattern of the tabernacle. He also chose the materials for the building. He gave the charge to His people to build His building. No tax or levy was introduced. It was voluntary because each individual was prompted to do what he could to have the tabernacle built. These gifts were viewed as a whole as a unified offering made by the people. So it is today. Yahweh showed Moses the physical pattern when he was on the mount. We, however, recognize this as a pattern for the spiritual habitation of Yahweh that we are to become. Ye also, as lively stones, are built up a spiritual house, an holy priesthood, to offer up spiritual sacrifices, acceptable to Yahweh by Yahshua Messiah. Wherefore also it is contained in the scripture, Behold, I lay in Sion a chief corner stone, elect, precious: and he that believeth on Him shall not be confounded. Unto you therefore which believe He is precious: but unto them which be disobedient, the stone which the builders disallowed, the same is made the head of the corner, and a stone of stumbling, and a rock of offence, even to them which stumble at the word, being disobedient: whereunto also they were appointed. But ye are a chosen generation, a royal priesthood, an holy nation, a peculiar people; that ye should shew forth the praises of Him Who hath called you out of darkness into His marvellous light: which in time past were not a people, but are now the people of Yahweh: which had not obtained mercy, but now have obtained mercy, 1 Peter 2:5-10. These verses show that Yahweh uses chosen ones that He selects for His spiritual temple. We are likened to living stones, coming to Yahshua, the cornerstone to be built into a spiritual temple, and to proclaim the wonderful works of Yahweh. Take you from among you an offering unto Yahweh; whosoever is of a willing heart, let him bring it, an offering of Yahweh, Exodus 35:5. Then follows the list of materials that are required for the tabernacle. It must be noted that the materials that were used for the construction were those very items that were brought out of Egypt. This even includes the precious stones to be set in the ephod and the breastplate, Exodus 35:9. Verses 21-25 in Exodus 35 tell of those whose heart was stirred up to help in the building of the place of worship of Yahweh. And they came, every one whose heart stirred him up, and every one whom his spirit made willing, and they brought Yahweh's offering to the work of the tabernacle of the congregation, and for all his service, and for the holy garments. And they came, both men and women, as many as were willing hearted, and brought bracelets, and earrings, and rings, and tablets, all jewels of gold: and every man that offered, offered an offering of gold unto Yahweh. And every man, with whom was found blue, and purple, and scarlet, and fine linen, and goats' hair, and red skins of rams, and badgers' skins, brought them. Every one that did offer an offering of silver and brass brought Yahweh’s offering: and every man, with whom was found shittim wood for any work of the service, brought it. And all the women that were wise hearted did spin with their hands, and brought that which they had spun, both of blue, and of purple, and of scarlet, and of fine linen. They brought the necessary things according to the pattern given to Moses. It was all voluntary. They wanted to help establish a meeting place where Yahweh would dwell, where He would be with them. They did it with a willing heart, for they recognized Yahweh would be all things to His people. He would be whatever they needed at any given time. They eagerly did what they could with great joy and anticipation. And all the women that were wise hearted did spin with their hands, and brought that which they had spun, both of blue, and of purple, and of scarlet, and of fine linen. And all the women whose heart stirred them up in wisdom spun goats' hair, Exodus 35:25-26. Wherefore He saith, When He ascended up on high, He led captivity captive, and gave gifts unto men… And He gave some, apostles; and some, prophets; and some, evangelists; and some, pastors and teachers, Eph. 4:8, 11. Ye also, as lively stones, are built up a spiritual house, an holy priesthood, to offer up spiritual sacrifices, acceptable to Yahweh by Yahshua Messiah. For to one is given by the Spirit the word of wisdom; to another the word of knowledge by the same Spirit; to another faith by the same Spirit; to another the gifts of healing by the same Spirit. To another the working of miracles; to another prophecy; to another discerning of spirits; to another divers kinds of tongues; to another the interpretation of tongue. But all these worketh that one and the selfsame Spirit, dividing to every man severally as He will, 1 Corinthians 12:8-11. But now hath Yahweh set the members every one of them in the body, as it hath pleased Him, 1 Corinthians 12:18. And they received of Moses all the offering, which the children of Israel had brought for the work of the service of the sanctuary, to make it withal. And they brought yet unto him free offerings every morning, Exodus 36:3. For the stuff they had was sufficient for all the work to make it, and too much, Exodus 36:7. Bring ye all the tithes into the storehouse, that there may be meat in mine house, and prove Me now herewith, saith Yahweh of Hosts, if I will not open you the windows of heaven, and pour you out a blessing, that there shall not be room enough to receive it, Malachi 3:10. Ancient Israel thought it a great honor to contribute to Yahweh, to make His presence among them a sure thing. That same principle still stands today. In the first sanctuary recorded in Exodus, all giving was voluntary. The people gave willingly and more than enough. Later in Leviticus, Yahweh let it be known that He expected a 10 percent tithe to be used exclusively for His sanctuary and His worship. The people paid a tithe to the Levites who in turn gave a tithe to the priests. Because the Book of Deuteronomy will be the guidebook of the Kingdom, the tithe will be a part of the Kingdom. Much has been written in an attempt to show that we on this side of Calvary are no longer obligated to tithe. Some teach that because the Levitical priesthood has been superseded by the Melchisedek priesthood, the tithe is no longer a part of our requirement in the Body of Messiah. Those who follow this line of reasoning suddenly feel that it is no longer necessary to support any work that is striving to proclaim the Good News of the coming Kingdom. The attitude seems to be that tithing is out, doing nothing is in. Yahweh is a Spirit: and they that worship Him must worship Him in spirit and in truth, John 4:24. 6:7 and Acts 9 tell ot the conversion of Saul. These early Jewish converts had been accustomed to paying their tithe. It was a way of life with them. Did becoming followers of the Messiah mean they no longer had to give their tithe? Or did Paul say that to be a follower of the Messiah even more was required of them? And the multitude of them that believed were of one heart and of one soul: neither said any of them that ought of the things which he possessed was his own; but they had all things common. And with great power gave the apostles witness of the resurrection of the Master Yahshua: and great grace was upon them all. Neither was there any among them that lacked: for as many as were possessors of lands or houses sold them, and brought the prices of the things that were sold, and laid them down at the apostles' feet: and distribution was made unto every man according as he had need. And Joses, who by the apostles was surnamed Barnabas (which is, being interpreted, the son of consolation), a Levite, and of the country of Cyprus, having land, sold it, and brought the money, and laid it at the apostles' feet. read that Stephen was the first to show his total commitment. Thou shall not muzzle the mouth of the ox that treadeth out the corn. Or saith he it altogether for our sakes? For our sakes, no doubt, this is written: that he that ploweth should plow in hope; and that he that thresheth in hope should be partaker of his hope. If we have sown unto you spiritual things, is it a great thing if we shall reap your carnal things? Paul brings in the Old Testament here in his admonition to the people at Corinth, chiding them for their unwillingness to support him as he preached the coming Kingdom. He upbraids them for being irresponsible and taking advantage of him and his efforts to build up the Body of Messiah. In fact, he says he has the right to expect some physical payment for the spiritual meat he has given them. Because they are so selfish, he says he would not take any of their help. He would rather die first! Paul expected the Corinthians to help him financially to pay for the work he did among them. This is clear from 2 Corinthians 11:7-9 where Paul says that in essence he was robbing other groups to preach to them at Corinth. Have I committed an offence in abasing myself that ye might be exalted, because I have preached to you the evangel of Yahweh freely? I robbed other churches, taking wages of them, to do you service, 2 Corinthians 11:7-8. And when I was present with you, and wanted, I was chargeable to no man: for that which was lacking to me the brethren which came from Macedonia supplied: and in all things I have kept myself from being burdensome unto you, and so will I keep myself, 2 Corinthians 11:9. Whether it was ancient Israel constructing the sanctuary for the habitation of Yahweh, or whether it is Paul preaching the Good News to gain converts in building a spiritual temple—those who are benefiting from Yahweh's Word are expected to support those who are doing the work. The elders who do good work as leaders should be considered worthy of receiving double pay especially those who work hard at preaching and teaching. For the Scripture says “Do not tie up the mouth of the ox when it is treading out the grain,” and, “the worker deserves his wages," 1 Timothy 5:1718 TEV. Honor Yahweh with your substance and with the firstfruits of thine increase. It is an act of worship to honor Yahweh's work with offerings to edify and build up the Body of Messiah. It is our duty to live a life in accord with Yahweh's will and be a shining light to others. But, it is also our responsibility to do all we can to proclaim the Good News of the coming Kingdom. By so doing, we aid the lost sheep that are seeking the truth of the Scripture that is lodged in the Ekklesia, the Body of Messiah. It was the Ekklesia that was to be the agent on this earth that would be proclaiming Yahweh's truth. By adding members to the Body of Messiah, we are helping others find salvation through the faith. By this we show that we have love for the brethren when we sacrifice to help others understand the great and precious truths we are privileged to know. If Yahweh willed, He could rain money from heaven to supply the means to proclaim the truth of the Bible. He could see to it that His people had gold mines in their backyards from which to draw and finance the proclamation of the Good News. But, He did not do this for several reasons. Yahshua told us to seek first the Kingdom of the heavens (“But seek ye first the Kingdom of Yahweh, and His righteousness; and all these things shall be added unto you,” Matthew 6:33), and everything else would be added unto us. We are all being taught a lesson. Yahweh is teaching us to put Him and His kingdom above everything else. He wants us to show to Him and to the world that we are willing to seek Him and will sacrifice of our substance and time to prove our sincerity. Yahweh would not need His human instruments to do His work if He desired to warn the world Himself. He could thunder the Word from the heavens and the entire earth would shake as He spoke. But He has left that up to His people to study and proclaim the Good News to the world around them. We are to do what Israel failed to do. By so doing we learn lessons and teach others at the same time. It is our goal to build the spiritual habitation of Yahweh on this earth by becoming stronger in the faith and help others find the way to life eternal. To carry out this goal, it is necessary that those who are called voluntarily help in this endeavor, just as ancient Israel responded to the call to provide supplies to those laboring in building the habitation of Yahweh. We are to take of the increase Yahweh has given us in the world and use it to build the spiritual temple He is looking for. It is an act of worship to honor Yahweh's work with offerings to edify and build up the body of Messiah. Nothing is free in this world. Everything has its price. Just because some receiving this magazine did not contribute does not mean there is no expense involved. Someone else paid for putting it in the hands of those who do not. We are grateful to Yahweh for having put in the hearts and minds of His people the desire to support us in publishing scriptural literature, and to do personal visitations so others may learn of the truth of the Bible and become converted, taking hold of Yahweh's covenant. This is what is needed to build the spiritual temple where Yahweh can dwell among His people.